Here is so depressing to have you here on this post as you are in the depression and sadness of a liked person who is no further with you and hence you are seeming to see some Death Urdu Poetry or share with another person who wants it to make his/her disorder quiet down or you can more get this Death Poetry published and share with people for affection. 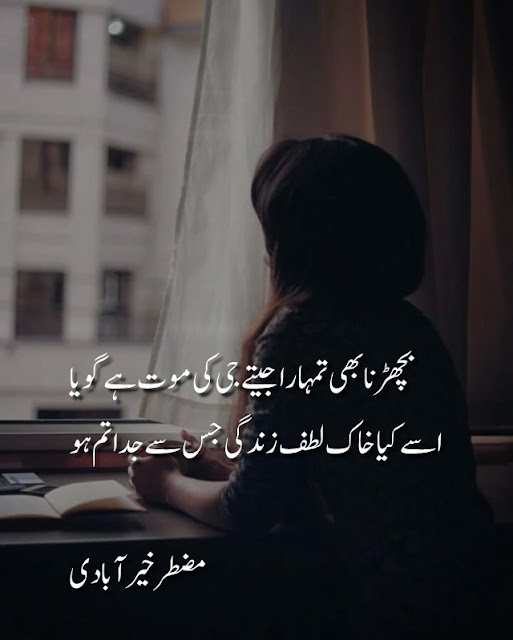 Also, Mout Shayari in 2 line about the death of a loved one can treat anyhow and that is the cause I'm sharing my collection of Death Poetry In Urdu with Y'all in quiet style. 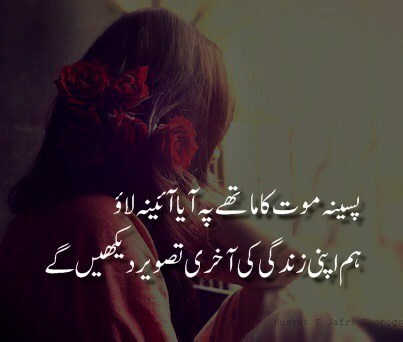 Qehar hai, mout hai, Qaza hai ishq..!! Sach to ya hai bori bala hai ishq..!! 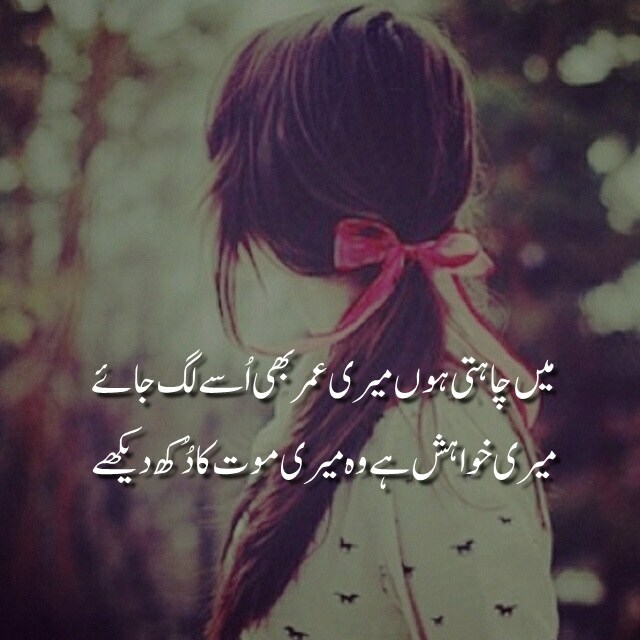 Hai dil k liye mout, masheeno’n ki hakumat! 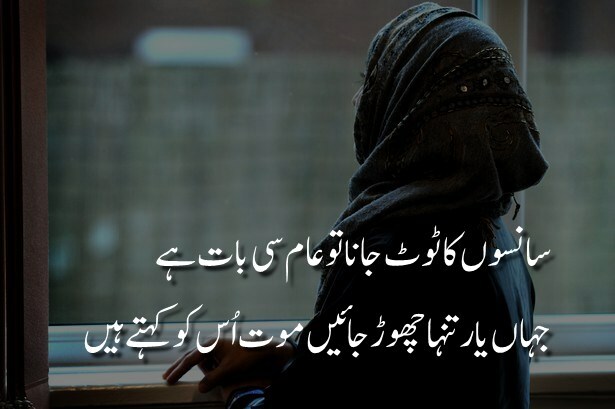 Ehsaas-e-murawwat ko kuchal daity hain aalaat! Dill AB KhuwaHisHen NaHin KarTa. 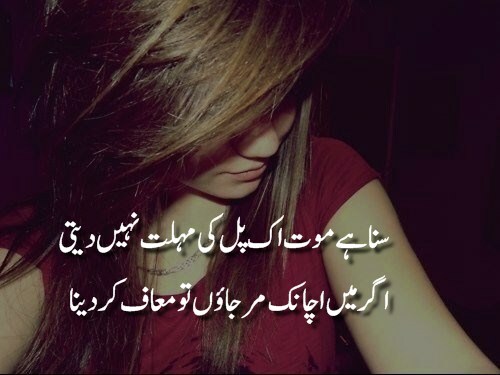 Mein kesy ussy Bhula doon...? Mout Insanoon ki hoti hai yadun ki nhi..
KYA UNKA BHI JANAZA PARHTI HAI DUNIA...???? ,Irada-E-Qatal Tha To Sar Kalam Kr Dete! 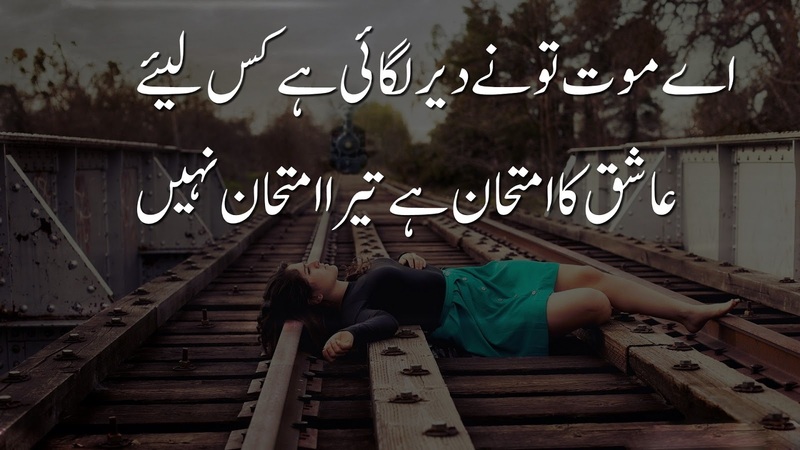 Q Ishq Me Daal K Tum Ne Har Saans Pe Mout Likh Dii? Zeest or Mout ki sarhad pe pade Mudat tak. Waqt Guzara Hai to jeeney ki ada seekhi Hai. Khuda Kare Tu Hamari Mout Par Bhi Muskuraye. Wo DekHo Mout Meri Mulaqaat Pe Ai Hai...! 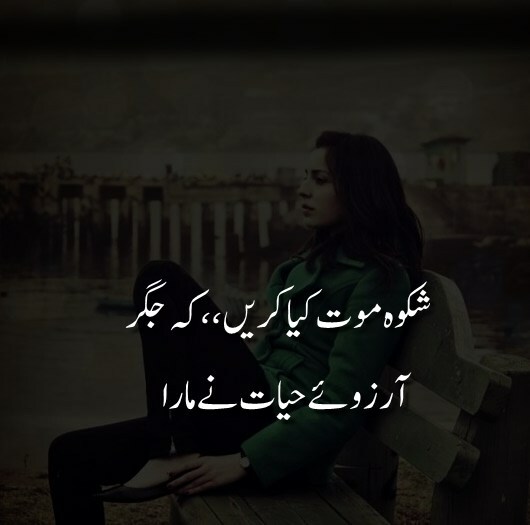 Some of the heart touching but also essential death Urdu 2 lines poetry I have shared with all you here on this post and I hope to understand you smile after all we have to love and what we can do is just pray for such person.